We worked Field Day 2014 in a Small Cabin, in Wyoming. The “Jack Creek Guard Station” is located southwest of Saratoga, Wyoming. It’s a 45 minute gravel drive to the cabin from Saratoga, which I think is under 2000 in total population. The guard station is now listed on the National Register of Historic Places. It’s closed for about half of the year, as it gets snowed in etc. It’s neat to stay in these little historic places. The cabin was built by Ranger Evie Williams in 1934. Oral history states that Ranger Williams spent most of his construction dollars on the material for the foundation and chimney and used his own funds to finish the windows and roof. The cabin has no electricity but does have a propane stove and a gas light. We arrived on Thursday, picked up rations and prepared for the event. For field day we set up an 80 meter loop, a 20M End Fed, and a 10, 15, 20, 40M fan dipole. The fan dipole and 80M loop (fed with ladder line into an antenna tuner) worked great! The 40M band on the fan dipole was narrow banded as it was a shortened using coils, but it worked good enough. 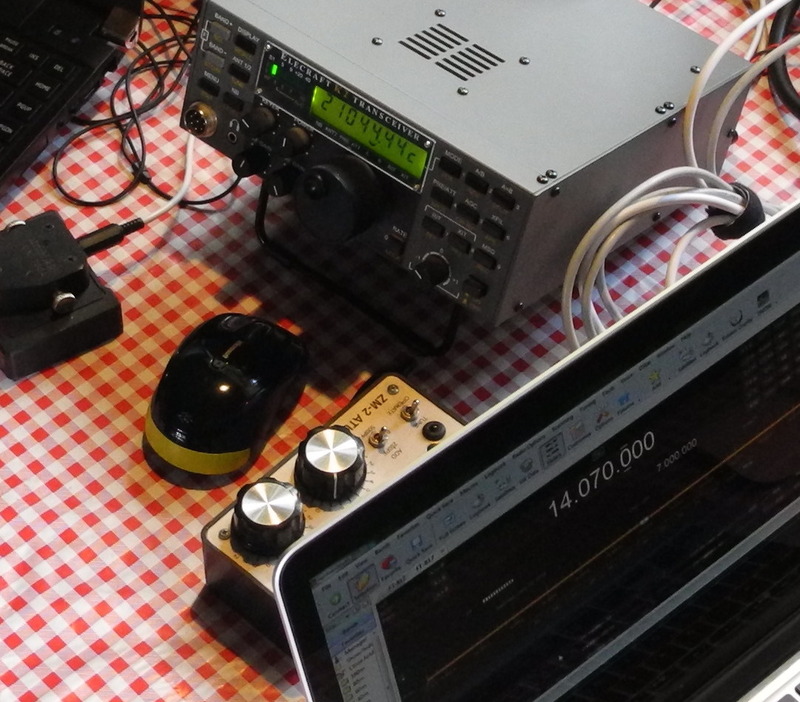 We managed to work nearly all of the states, using CW and PSK all at QRP power levels, using batteries and solar power only. The solar charger died early into the event, however, with a little care and some backup batteries we managed to run the entire 24 hours and had some room to spare.